Image Size 12 x 18 in. David Merritt’s practice operates in the diminishing space between human and natural systems. 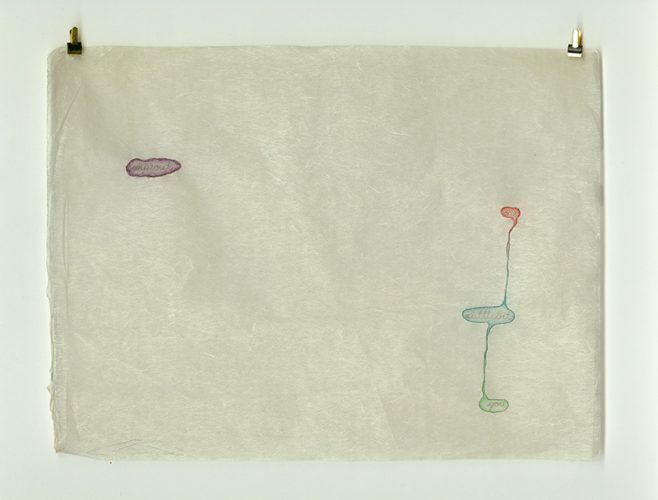 His drawing, sculptural and multimedia works have been exhibited in galleries nationally and internationally, including the National Gallery of Canada, Art Gallery of Ontario, the Textile Museum of Canada and TENT CBK, Rotterdam. A touring survey exhibition, shim/sham/shimmy was circulated by Museum London in collaboration with the Art Gallery of Hamilton, the MacLaren Art Centre and the Art Gallery of Windsor in 2010. Merritt lives in London, Ontario, where he teaches at Western University. His work is represented by Christie Contemporary, Toronto. This work makes connections between words from popular songs, including The Ventures Wipeout released in 1963.